Then He will also speak to those on His left, saying, “Get away from Me, you are cursed! Go of into the fire prepared for the Adversary and his angels! For I was hungry and you gave Me no food, thirsty and you gave Me nothing to drink, a stranger and you did not welcome Me, needing clothes and you did not give them to me, sick and in prison and you did not visit Me.” Then they too will reply, “Lord, when did we see You hungry, thirsty, needing clothes, sick or in prison, and not take care of You?” And He will answer them, “Yes! I tell you whenever you refused to do it for the least important of these people, you refused to do it for Me!” They will go off to eternal punishment, but those who have done what God wants will go to eternal Life. Yeshua spoke in parables, everything physical represents something in the Kingdom. With verses like the above it is very helpful to define what each physical thing is that we might better apply to our action and understanding. It’s of little use to be literal at times. Hence there will be so many fooled into thinking by writing a check to the poor, needy, sick, and imprisoned – in their literal sense, that they did action on the Living Word. Too keep this simple I’ll define each physical into the literal spiritual sense. With references for your own further study. The food for the hungry is the Word of God, this is the food we are to feed on and feed others, just like physical food to sustain the body, the Word of God sustains the hearts, minds and souls of His people. Thirsty people need drink, water is “free” or at least it used to be. This water was the common drink given to anyone who thirst. To give a drink to someone thirsty is to pray for and with them. For the Holy Spirit is the water to the soul, since the Spirit lives inside of us, welling up and over-flowing as the scripture in reference speaks, this must be what drink can satisfy a thirst. We pour out our hearts for and with another, the mystery of the Spirit takes it from there. Water is an important study, it’s all over scripture and highly significant to read on and ask the Spirit to reveal all that can be within the context of the Living Word. Again, follow Yeshua through His healings of the sick to find the true meaning of this word. We find that anything that does not operate according to the design of God is – sick, not functioning correctly. The poor can be a wealthy person, but their spirit is indeed destitute. Thus these two words can be spoken side by side. There are prisoners literally in physical jail due to the prison that was within them. Bound and chained to the lack of food, water, clothing, that is needed for the soul to be fit for the Kingdom it was created for. We have been and are all prisoners. Our offenses worthy of death and imprisonment, our salvation an undeserved gift from a prison-bar breaking God. When dealing with physical representations, always ask “What is their function?” Clothing is for protection. So to give or clothe someone, what does this look like other than physical clothes (which is just as important as with physical food and drink – not discounting the literal and physical). Clothing therefore can be many things such as, comfort, encouragement, exhortation, teaching, love, and so on. When taken with this perspective, it’s easy to see how so many can miss the mark. Also note, Yeshua says the least important of these…many of us don’t feed, clothe, and visit those of our own immediate family and friends, much less those we’d deem not so important. It’s a humbling revelation. Here’s very important questions to ask. ~ Do I study and watch and record God’s Word and His work in my life, and then thereby teach it to my children? Or do I leave that to their Sunday school teachers? It’s one thing to say you put clothes on their backs, food on the table, paid the water bill, and kept them in line, but do the standards of the real Kingdom come alive in your home? We can not feed, nourish with drink, clothe that which we do not receive and learn to provide. We must on a personal level meet with the Provider everyday to provide the things He is speaking about in the introductory scripture above. ~ Which side ( right or left ) of the Lord do I find myself on in the light of what I’ve just read? 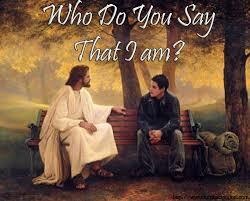 ~ What, Lord, would You have Me do now, to enter into Your will for my contribution to the Kingdom? ~ When giving my tithe, do I tithe only money, or 10% of my time, talent, everything I am given? Without this examining we shall always find false motive to our “help”. When we give, feed, fill a cup for, clothe, and visit prisoners, it’s should always bring you to worship and give God the glory. Emptying us of all our self-satisfaction. This indeed does so, as we will and don’t have anything to give without Him. Who do we say that our Master is? With our lives, our minutes, hours, resources, and gifts? This ultimately shall define right or left of the Lord, and hallmark our Ownership.